1/32 TRUMPETER JUNKERS Ju-87A STUKA #03213 2017. Parts included are aft canopy section, and closed middle sections. BOX NOT INCLUDED! You are responsible for these fees and they will NOT be reimbursed. 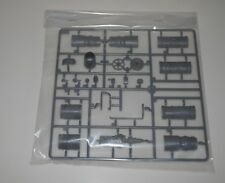 1/32 TRUMPETER REPUBLIC F-105D THUNDERCHIEF 02201 2003. Parts are all sealed in original plastic. 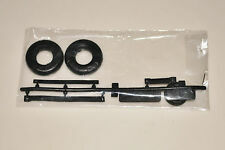 Parts included are main and nose tires and ammo belts. Box Not Included. 1/32 TRUMPETER CHINESE F-7 II 02216 2015. Parts included are external wing tanks, pylons, 2ea PL-2(NO LENS), and more. BOX NOT INCLUDED. Part s will be wrapped in either plastic pillows, bubble wrap, or styrofoam pellets and shi pped in a corrugated cardboard box to insure safe arrival. 1/32 TRUMPETER JUNKERS Ju-87A STUKA #03213 2017. Parts include radiator screen, seat belts, and more. BOX NOT INCLUDED ! You are responsible for these fees and they will NOT be reimbursed. 1/32 TRUMPETER SBD-5/A-24B DAUNTLESS 02243 2008. Parts are all sealed in original plastic. BOX NOT INCLUDED. You are responsible for these fees and they will NOT be reimbursed. THE FRUITCAKE RULE. 1/32 TRUMPETER GRUMMAN F6F-3 HELLCAT NIGHT FIGHTER #02256 2007. See photos. BOX NOT INCLUDED! You are responsible for these fees and they will NOT be reimbursed. ---DO NOT USE! BUY IT NOW---. 1/32 TRUMPETER LOCKHEED P-47N THUNDERBOLT #02265 2008. Parts are all sealed in original plastic. 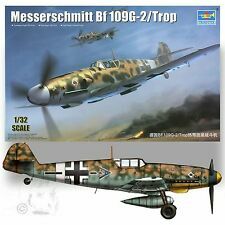 Parts included for 2ea 200 gal lozenge belly tank, 2ea 150 gal drop tank, 2ea 108 gal paper drop tank, 2ea 75 gal drop tank, 2ea 500 lb bomb, 2ea 250 lb bomb, 10ea HVAR's, 2ea M8 rocket launchers, and brackets. (NO LENS), 2ea Mk 82s, 1 ea M117s, and 2ea Mk 82 Snakeyes. 1/32 TRUMPETER A-4M SKYHAWK 02268 2012. Parts are all sealed in original plastic. Parts included are 1ea AGM-65s. Kit# 3307 ON SALE! LIST PRICE: 36.95 USD. 6 x Mk.20 Rockeye cluster bombs. 1/32 TRUMPETER AV-8B NIGHT ATTACK HARRIER II #02285 2010. They include 2ea AGM-65. not included. SEE BELOW . THE FRUITCAKE RULE. 1/32 TRUMPETER GRUMMAN F4F-4 WILDCAT #02223 2002. Parts are all sealed in original plastic. Parts included are wing parts and panels. BOX NOT INCLUDED! You are responsible for these fees and they will NOT be reimbursed. Length 498mm-Wingspan 352mm. This aircraft entered service with UK Royal Airforce, German Lufwaffe, Spanish, Austrian and Saudi Arabia airforces. This is the 2-seat trainer variant of the previously-released single seat A variant. 1/32 TRUMPETER LOCKHEED P-47N THUNDERBOLT #02265 2008. Parts are all sealed in original plastic. You are responsible for these fees and they will NOT be reimbursed. THE FRUITCAKE RULE. ---DO NOT ! 1/32 TRUMPETER MiG-29M FULCRUM 02238 2010. Parts included are 2ea KH-29T (NO LENS), 2ea KH-25ML, 2ea KH-29L, 2ea KH-29MP missiles. BOX NOT INCLUDED. Part s will be wrapped in either plastic pillows, bubble wrap, or styrofoam pellets and shi pped in a corrugated cardboard box to insure safe arrival. 1/32 TRUMPETER LOCKHEED P-38L-5-LO LIGHTNING 02227 2004. Parts are all sealed in original plastic. You are responsible for these fees and they will NOT be reimbursed. ---DO NOT USE! BUY IT NOW---. 1/32 scale completed model of the Trumpeter P-51B Mustang. Made into the markings of 4th Fighter Group, 334th Fighter Squadron ace F.O. Ralph Hofer. Kits-World decals, Alclad II and Testor Model Master enamels, Eduard cockpit detail set and resin exhausts, True Details Resin wheels. * I changed out the wheels on this model, the other ones looked like the tires were on the flat side and just didn't look right. Parts included: r&l stabilators, forward outer wing slats. BOX NOT INCLUDED. 1/32 TRUMPETER F/A-18F SUPER HORNET #03205 - 2009. You are responsible for these fees and they will NOT be reimbursed. THE FRUITCAKE RULE. Parts are all sealed in original plastic. BOX NOT INCLUDED. You are responsible for these fees and they will NOT be reimbursed. 1/32 TRUMPETER MiG-29K FULCRUM 02239 2010. BOX NOT INCLUDED. Part s will be wrapped in either plastic pillows, bubble wrap, or styrofoam pellets and shi pped in a corrugated cardboard box to insure safe arrival.